We are Manufacturer, Supplier & Exporter of Animal, Poultry And Cattle Feed Plants, Grindmix V Series and our setup is situated in Miraj, Sangli, Maharashtra, India. 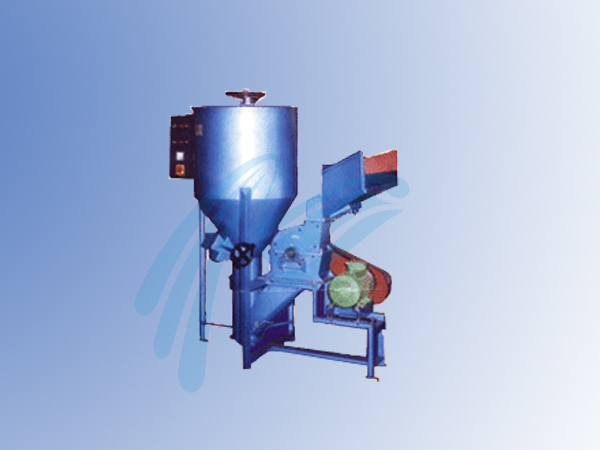 • V- Series is a batch type machine in which grinding & mixing is performed simultaneously. • Strong & rigid steel construction. • High gain in minimum H. P. consumption. • Foundation is not must. • Materials like dry whole fish can be ground with other raw materials. • Machine can be comfortably transferred from one place to other. • The capacities mentioned in below table are considering 6 mm hole screen and maize as a standard.